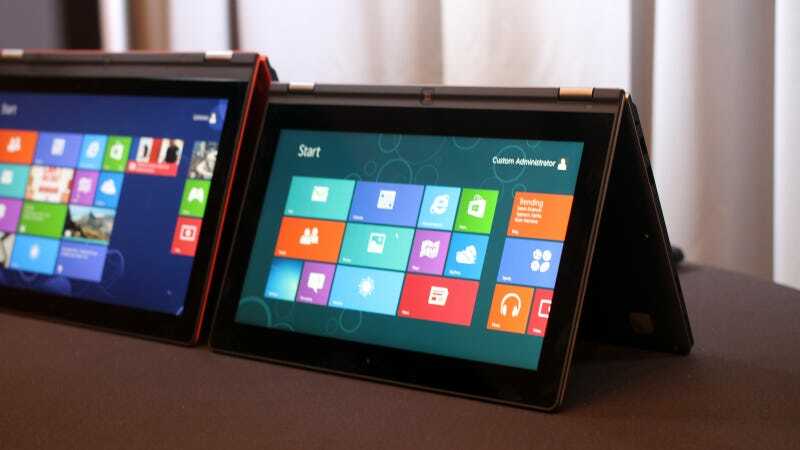 We like Lenovo's Yoga a lot, but until now, the 11-inch version was stuck with Windows RT, instead of full Windows 8. That's fine, more or less, but everyone who wanted the total package at 11 inches was pretty let down. Now, though, the 11-inch is getting the full Intel i-Series treatment. The 11-inch can be configured to 8Gb of memory, a 256GB SSD, and up to an i7. Otherwise, it's the exact same hardware as the original 11-inch Yoga. That means a slightly smaller keyboard (with slightly less travel distance), and the 360-degree hinge. The main difference is the body has an almost silky/nylon finish to it, instead of the more rubberized finish of the other Yogas. Lenovo claims this gives it more of a premium finish, but it felt sort of kitschy. It'll come in silver and orange when it makes its way to us in June, and starts at $800.